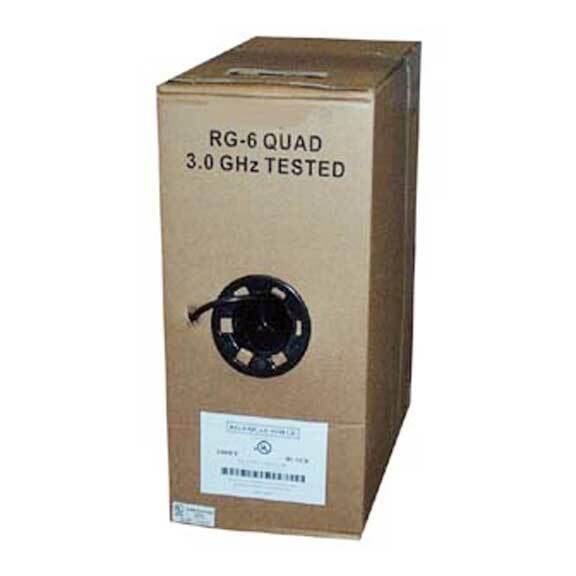 Our RG59 Coax Cable designs for composite video, RGBHV video, component video, and surveillance systems. At SF Cable, we have a wide variety of coax wire cables to meet your needs including RG58, RG59, RG59 with Power CMR, RG6, Direct Burial Outdoor Dual Shield RG6, and Power Wire CMR. These cables are primarily used for TV and surveillance systems. All these bulk cables come in different sizes and types. Get the best fit Coaxial bulk cable depending on your cabling needs. We provide lifetime technical support and warranty on these cables. Our cables are RoHS compliant and environment friendly. We work with ISO 9001 - 2000 registered manufacturers to provide high quality coax cables.